Just back in from a regular two day trip. Overall, it was a little slow. Daytime bite was slow. Did not matter what I did, deep or shallow. The results was the same. The night bite was much better. We stayed deep and focused on the muttons. Sunrise, we pushed inside to 140 feet and picked away at a mixed bag. Also in the morning we managed 5 African Pompanos. Always nice to see those fish. The weather was spectacular as well as the conditions. Light wind and light current. Temperature was pleasant too. I found a link from last weekends trips.Please click here. Back out tomorrow on another 3 day trip. 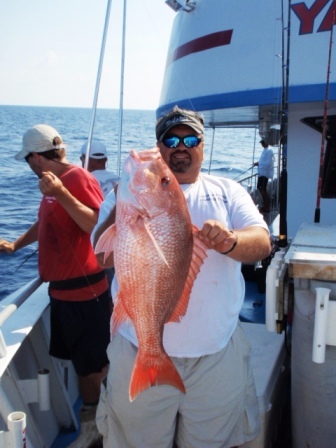 With June 1 comes the opening of red snapper in the Gulf of Mexico so that will be the focus. Weather looks outstanding. Hopefully I can find some of the bigger red snappers this year. Thanks for looking. Look for a report on Thursday.